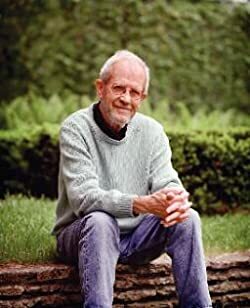 Elmore Leonard (1925-2013) wrote forty-five novels and nearly as many western and crime short stories across his highly successful career that spanned more than six decades. Some of his bestsellers include Road Dogs, Up in Honey's Room, The Hot Kid, Mr. Paradise, Tishomingo Blues, and the critically acclaimed collection of short stories Fire in the Hole. Many of his books have been made into movies, including Get Shorty, Out of Sight, and Rum Punch, which became Quentin Tarantino's Jackie Brown. Justified, the hit series from FX, is based on Leonard's character Raylan Givens, who appears in Riding the Rap, Pronto, Raylan and the short story "Fire in the Hole". He was a recipient of the National Book Foundation's Medal for Distinguished Contribution to American Letters, the Lifetime Achievement Award from PEN USA, and the Grand Master Award of the Mystery Writers of America. He was known to many as the 'Dickens of Detroit' and was a long-time resident of the Detroit area. The Official Elmore Leonard Twitter Account at @elmoreleonard is maintained by Gregg Sutter, Elmore's researcher for 33 years. Please enter your email address and click the Follow button to follow Elmore Leonard! New York Times bestselling author Elmore Leonard has written over forty books, including four about U.S. Marshal Raylan Givens, the captivating hero of the hit FX series Justified. Now three of Leonard’s best novels—Get Shorty, Tishomingo Blues, and Killshot—are together in one classic ebook collection.